While adopting a child can be quite an endeavor, the District Department of Transportation’s Urban Forestry Administration is making it easy to adopt a tree. The UFA is looking for canopy keepers to help D.C. trees survive the sweltering summer. Canopy keepers are tasked with watering, mulching and monitoring the health of specific trees in their area. Everyone who volunteers receives free watering bags, instructions from the UFA and the everlasting satisfaction of raising a sapling. The UFA currently has 19 certified arborists on staff who are responsible for issuing permits, enforcing regulations and caring for approximately 140,000 trees throughout the city. They do their best to keep the newly planted trees healthy, but need some extra assistance this summer. “Summer heat and normal urban pressures create intense stress for street trees,” said John Thomas, Chief Forester for the District. "While UFA crews are watering all 3,500 new trees we planted this year, we are calling on District residents and businesses to help water street trees close to their homes and offices." Trees need 25 gallons of water -- equal to about 1.5 inches of rainfall -- each week to stay alive. 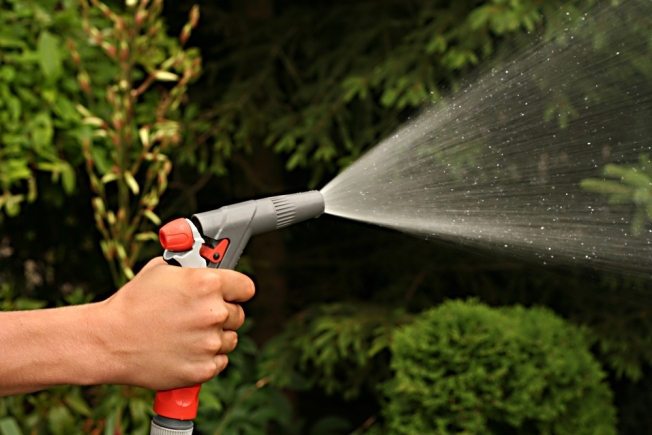 So if there has not been any rain or large Super Soaker fights near trees, they need to be watered. The watering bags used by the UFA slowly release water, ensuring that the trees have enough to survive. They also reduce water runoff. Mulching is also vital to keep soil moist. Experts say to apply three inches of mulch in a three-foot ring, with a three-inch space around the trunk. Click here to learn more about caring for trees. It takes less than 10 minutes a week to fill one of the watering bags currently installed on most new trees. The maintenance of these trees will not only help us breath by absorbing carbon dioxide, but it will beautify the city and help us all to keep cool during this hot summer. If you want to learn more, contact the UFA at (202) 671-5133 or visit DDOT’s website on becoming a canopy keeper to receive a free watering device and get started on your journey.